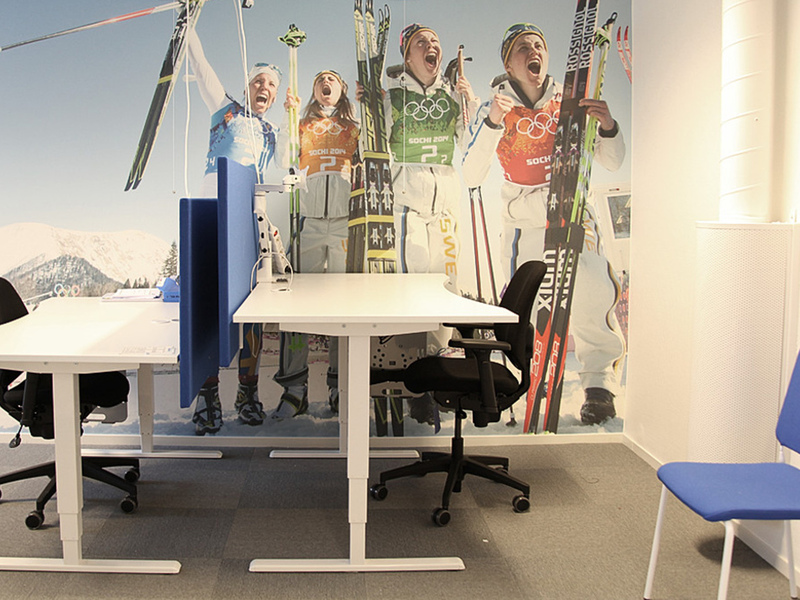 In preparation for the 2015 FIS Nordic Skiing World Championships in Falun, architect Caroline Molse equipped the Swedish cross-country team’s bright new association office with furniture from Edsbyn. 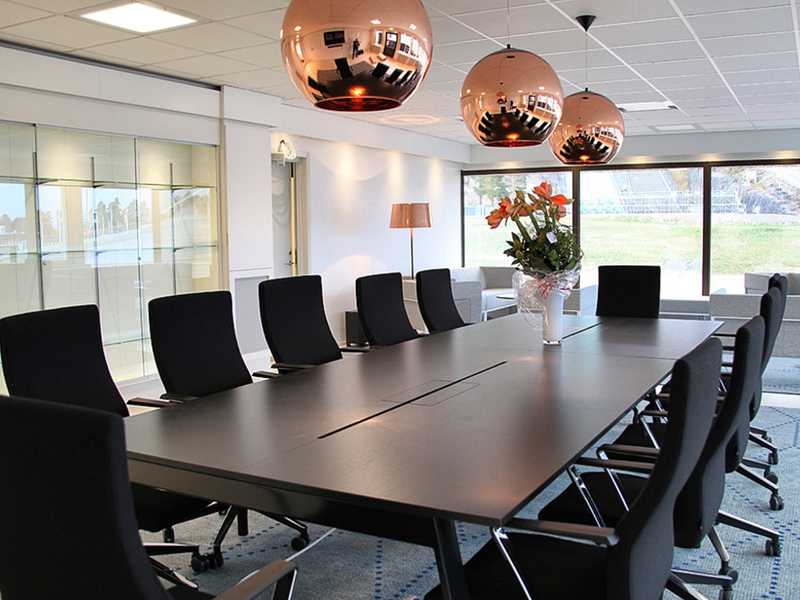 The conference room has a panoramic view of the ski jumps in the Lugnet sports complex and is furnished with a Piece conference table and Se-Di conference chairs. 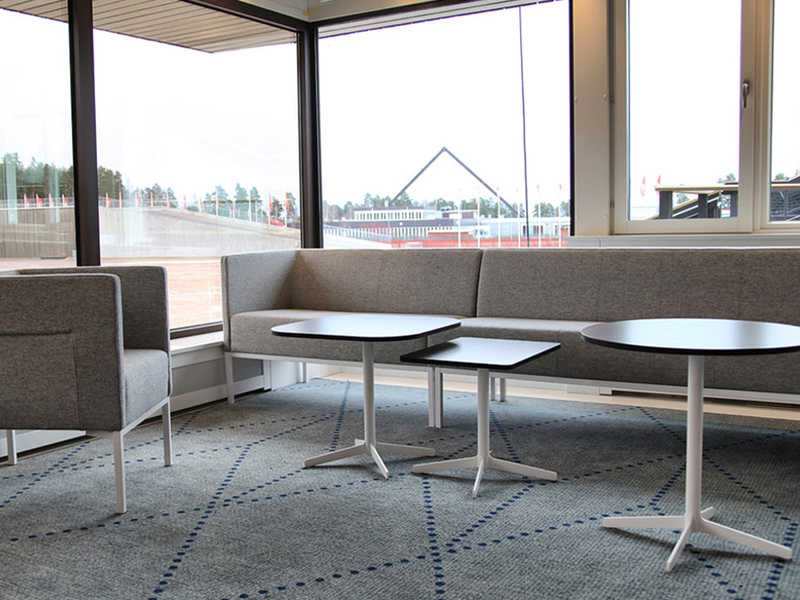 The conversation area has E-pos sofas and armchairs together with Feather coffee tables. 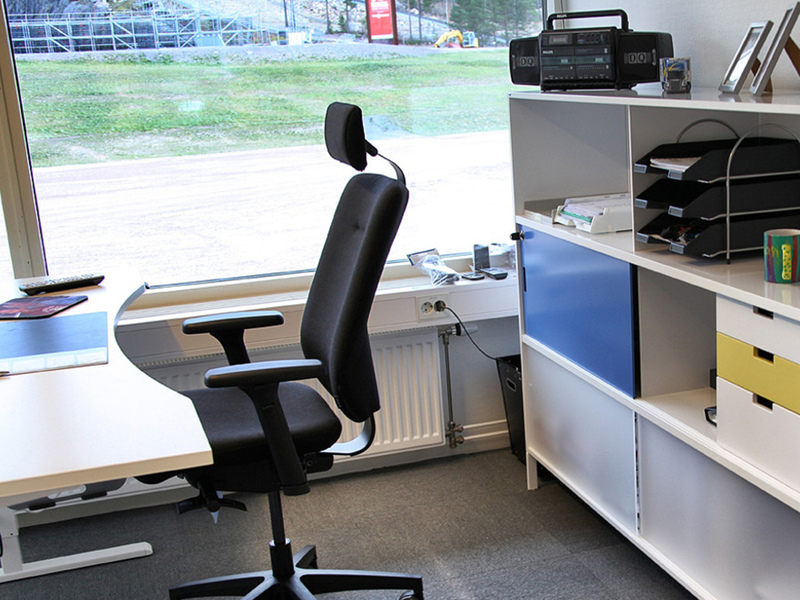 The workplaces have white sit’n’stand desks and Neat storage units with the colours of the national team on doors and drawer fronts.